The alarm went off, and I opened the shades to take a quick look outside to see if I could get a glimpse of what the weather had in store for the day ahead. 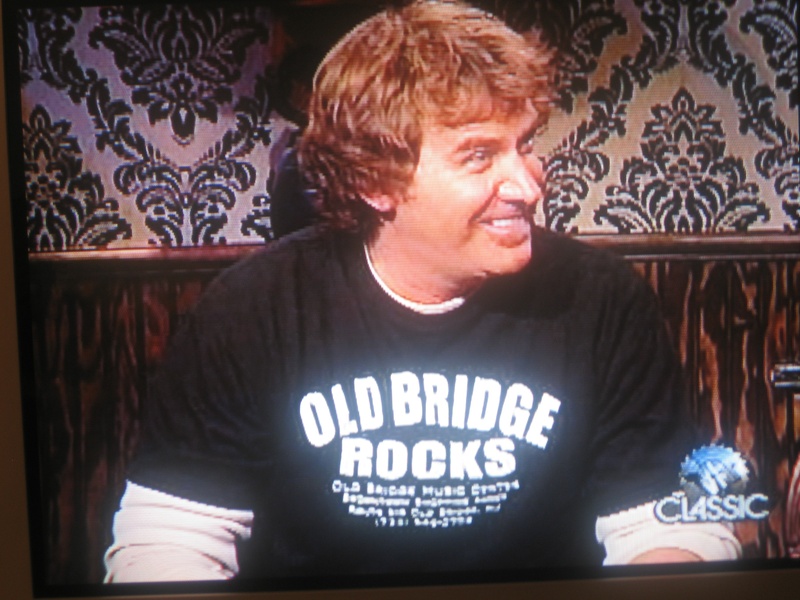 For those of you who have never been to “OLD BRIDGE DAY”, here is a little description to try and give you a “feel” for what it is like, but first let us give a brief description of the town itself. 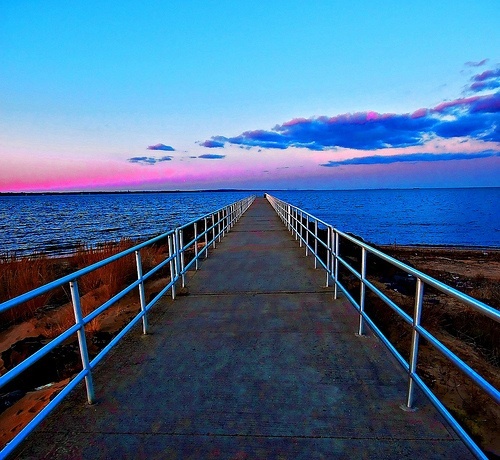 OLD BRIDGE, New Jersey, USA, (for our overseas readers, and those outside the area), it is a Rural Community with an area of 40 square miles, with a population of around 65,000. There are a variety of towns “within the Township”, all with a different “feel”. 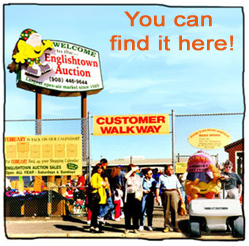 Less than a mile up the road on the left is The Awesome ENGLISHTOWN AUCTION, where you can find just about anything you are looking for from families selling their Attic Treasures, to Weekly Vendors who have many items for a fraction of the cost. 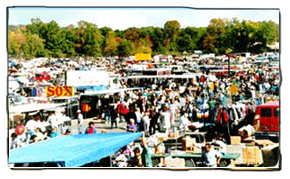 The Auction/Flea Market is over 80 Years Old, and is open every weekend, and is always Free Admission! 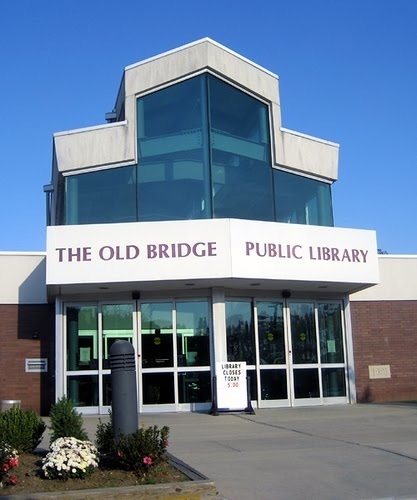 In addition to these Great places to visit in Old Bridge, we also have one of the Best Libraries in Central New Jersey, The Old Bridge Public Library- Awesome! 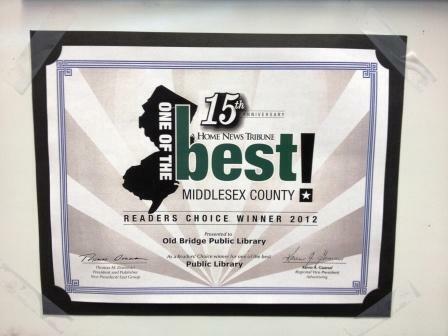 Readers of The Asbury Park Press even voted it “Reader’s Best” Central New Jersey! In addition to a Huge selection of books, the Library also has an extensive Selection of Music and Movie’s to borrow or rent very inexpensively. 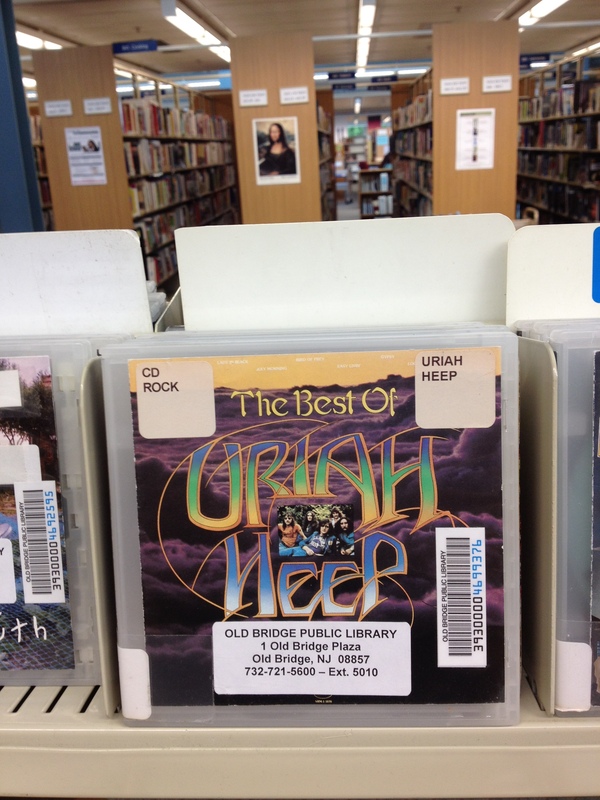 I mean, how many Libraries would have URIAH HEEP’S “The Best Of” on CD?!!! We were blown away when we saw this at the Library! Many people are not aware of the Musical History that comes from Old Bridge, as many Internationally known Musicians are homegrown talents who were born and raised in town, and it was in Old Bridge that Heavy Metal Legends Metallica came to live from San Francisco on their way to become International Superstars. So now that you know a little bit more about the town, on to the day itself! We arrived early to a full lot of vendors, and a day full of blue skies and lots of smiles from everyone walking around looking forward to the day ahead. My Father Lou Zubowicz, (who has been instrumental in many ways by helping to renovate the School in 2006, and help with all events) was a tremendous help as always in getting things set up for the day ahead. Thanks Dad! 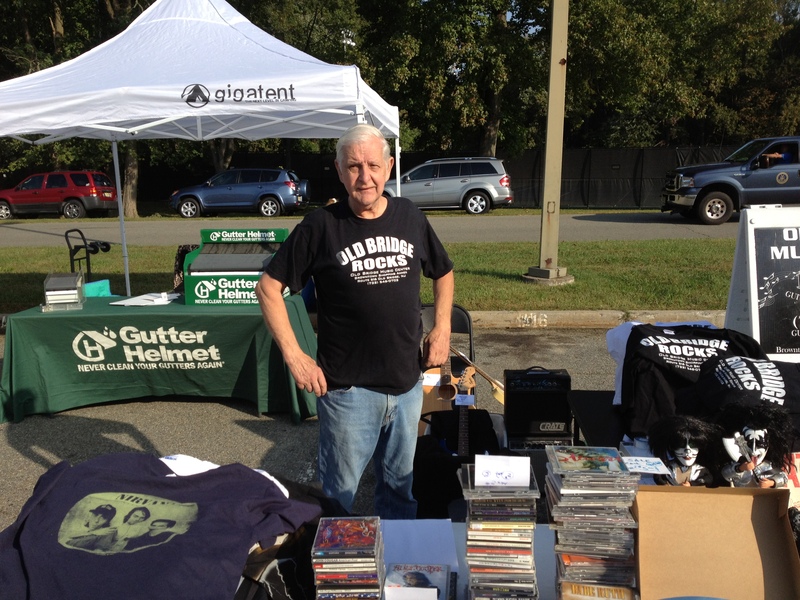 *My Dad Lou Zubowicz helping to set up for the day ahead…. Before we knew it people had started to enter the event, (which is held at the Old Bridge Municipal Complex on Route 516, Old Bridge), and we had a Great time meeting new people, signing up some new students, and just being a part of a Great day here in town! I had the pleasure of sharing a few laughs and pleasantries with a nice man who turned out to be Old Bridge Mayor Owen Henry, and was happy to see such a nice turnout as the day progressed. 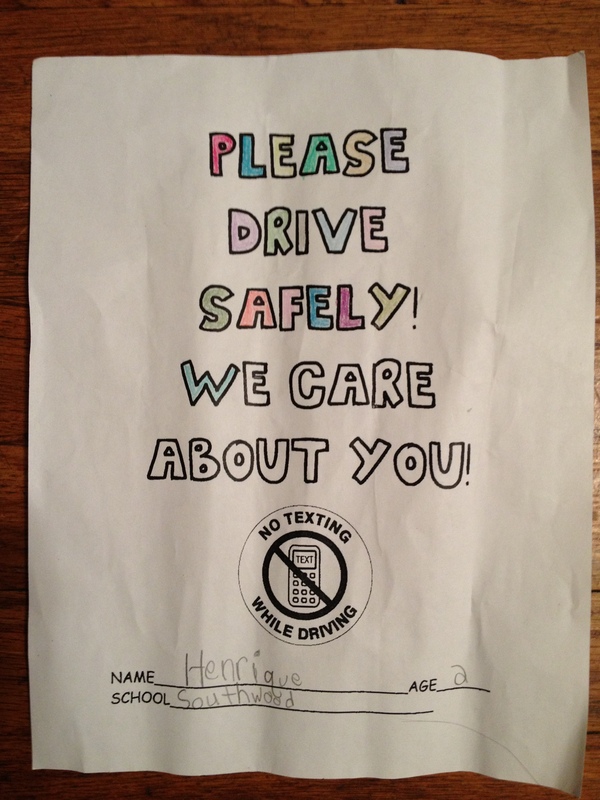 As you can see, this is a Driver Awareness Flyer about “No Texting While Driving”, which is excellent advice! 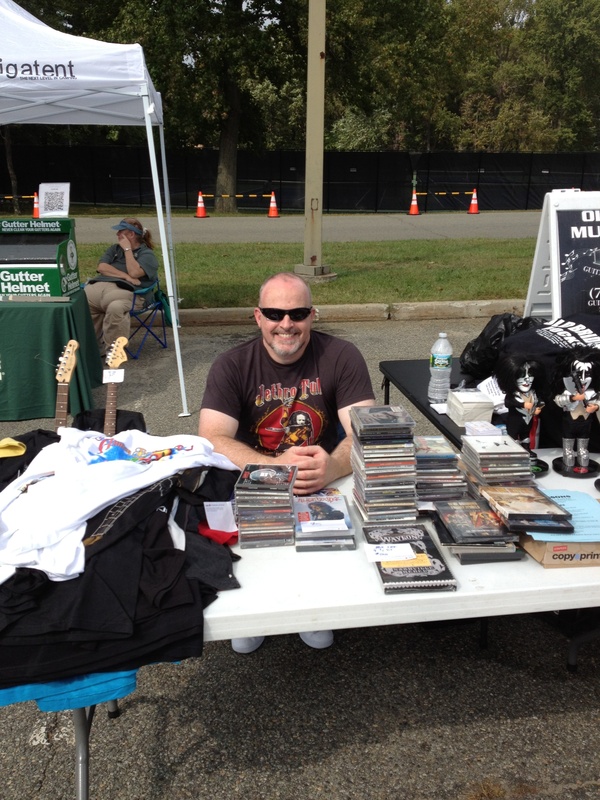 OBMC Drum Instructor Brendan Farragher helping out at the Booth- Thanks Brendan! Before we knew it, the crowds began to file out, and we began to break down the tables, share a few laughs, and pack everything away before calling it a day. Soon thereafter some of the prospective students from the Fair had signed up as steady students, and are doing fantastic with their studies! 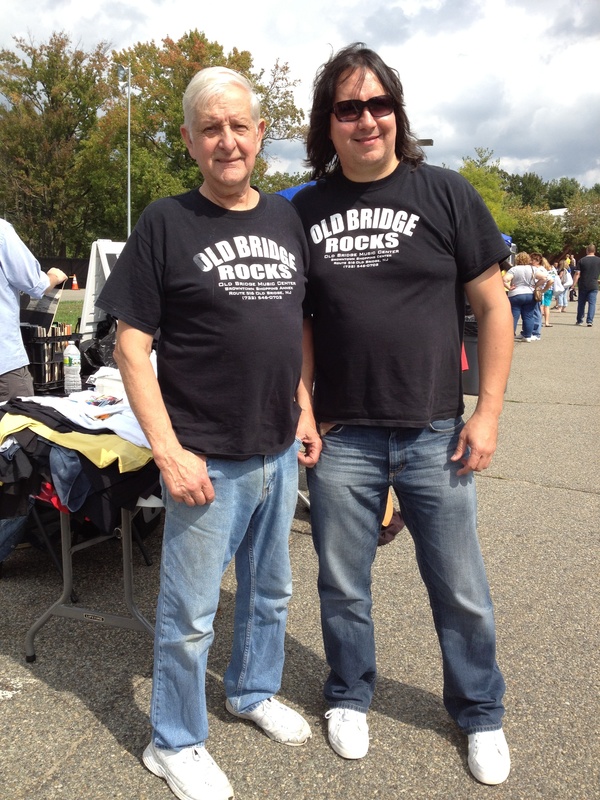 We look forward to many more years at the “Old Bridge Day” Fair, which is usually towards the end of September at The Old Bridge Municipal Complex. 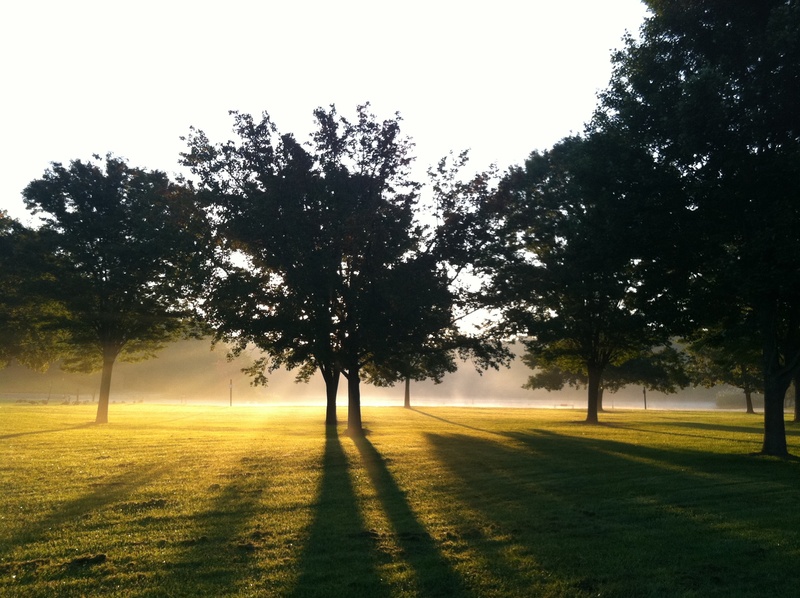 And if you are interested in starting lessons here at the School, give us a call at (732) 546-0702. 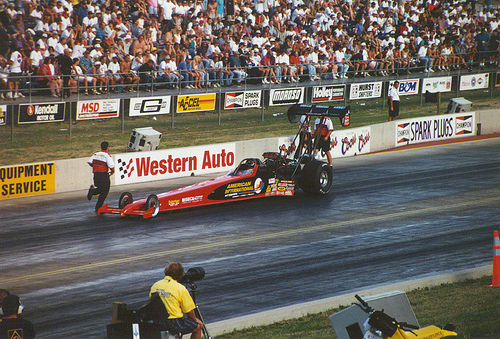 This is Rob DeBease. You taught me guitar for about 8 months back in like 1985/1986 while I was going to Cedar Ridge High school. The things you taught me I now teach my daughter. Music/guitar have been a HUGE part of my life. It helped me when my parents died, made me tons of friends and when I was college….well playing guitar definitely didn’t hurt when it came to getting the ladies…LOL. In any event I just wanted to thank you so much for the great lessons you gave me. You were the best guitar teacher I ever met and I’ve jammed with a lot of guys over the years, GIT grads and everything but you were the best I ever jammed with. Hope all is well for you and glad to hear about your school. Thanks for writing, and Great to hear from you, and that you are doing so well! Also Great to hear that you are teaching your Daughter how to play Guitar! Best Wishes, and Continued Health and Success!